Google has launched the second developer preview of Android O at Google I/O 2017. While the launch was just an incremental update from the first developer preview released in March, Google showcased some new features such as Vitals, Notification Dots and more. If you recollect first developer preview introduced features such as picture in picture, streamlined notifications, audio enhancements and more. It also added support for wide gamut color, adaptive icons, and WebView optimizations. 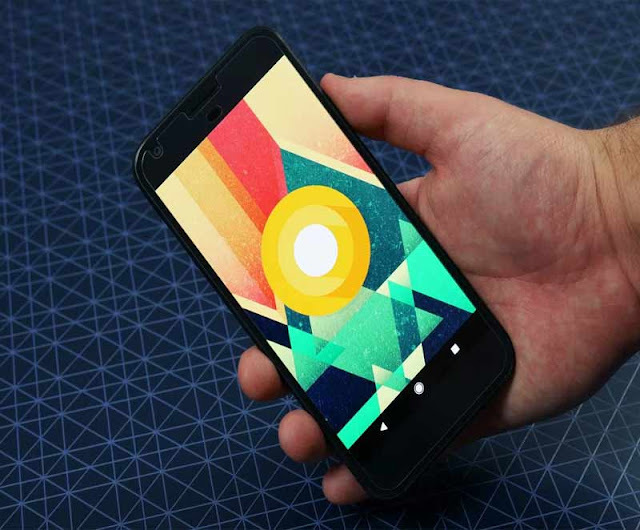 The major change that comes with the second developer preview of Android O is Google has opened the Android O Beta program through which interested users can test drive Android O on their devices. In this article, we have brought you the 8 great features of Android O, which will enhance your Android experience. Android O is able to understand what's in your photos and recommend specific apps and actions based on what's in it the composition and your prior behavior. "If a user takes a photo of a receipt, Android O can suggest an expense-tracking app; if the user takes a selfie, a social media app can better handle the image," Google says. This also applies to videos, URLs, text, and other types of content — your phone can learn what you typically do with different types of content to improve its recommendations. Starting with Android Nougat, users could long-press on an app icon to use app shortcuts for common tasks. With Android O, the look of shortcuts has been refined, and you can now access an app's widgets from the shortcut menu. The Settings app has once again been redesigned. The slideout menu is gone, and settings have been recategorized. This is going to take some getting used to, no doubt. Another small but noticeable way Google is redesigning the look and feel of notifications: Developers will have the ability to enable background colors for notifications from their app. But don't expect your notifications tray to look extra colorful — Google recommends developers "only use this feature in notifications for ongoing tasks which are critical for a user to see at a glance," like navigation or phone calls. With Android O, Google has introduced a new feature called 'Telecom framework', which allows for third-party calling applications to work with each other and with carriers. Google has introduced a new of tools under the banner 'Vitals' aims at comprehensively optimizing, and securing Android. The first is called Google Play Project, which is basically a virus scanner for all apps on the play store. In Android O, you will see new UI elements in the Google Play update window which will show you your recent scans and issues found, if any. With Android O, Google is introducing several new features aimed at audiophiles. Android O brings with it support for high-quality audio codecs such as LDAC. Additionally, Google is also introducing AAudio - a new native API for applications needing support for high-performance, low-latency audio. In Android 7.0 Nougat, Google introduced an optional multi-process mode for WebView that moved the handling of web content into an isolated process. In Android O, the company is enabling the multi-process mode by default and is also introducing a new API that let developers handle their own errors and crashes in WebView. Android O also brings with it optimizations for new runtimes for better stability and performance in applications designed specifically for Android O.